It has been a whirlwind month with nonstop performing and teaching, but I am thankful for the opportunity to work with so many incredible artists and to teach such dedicated students. I enjoyed multiple performances last weekend with OU Artist-in-Residence Regina Carter and my colleagues in the Oakland Jazz Quartet. Here is a short sample of our work together. This week at Oakland University, our students in the African Ensemble and Steel Band will be presenting their end of semester concert on Friday night. Details can be found here. And on Wednesday, students in the OU Percussion Ensemble and World Percussion Ensemble will be presenting a concert featuring my longtime friend Roger Braun and his original compositions and arrangements. Details can be found here. These concerts are not to be missed! Two weeks ago, I enjoyed performing at the Cleveland Thyagaraja Festival (the largest festival of Indian music outside of India) with some of the finest Carnatic musicians in the world. A write up of the event can be found here. Later this month, after wrapping up the semester, I will head to New Jersey to perform with many of these wonderful musicians again. 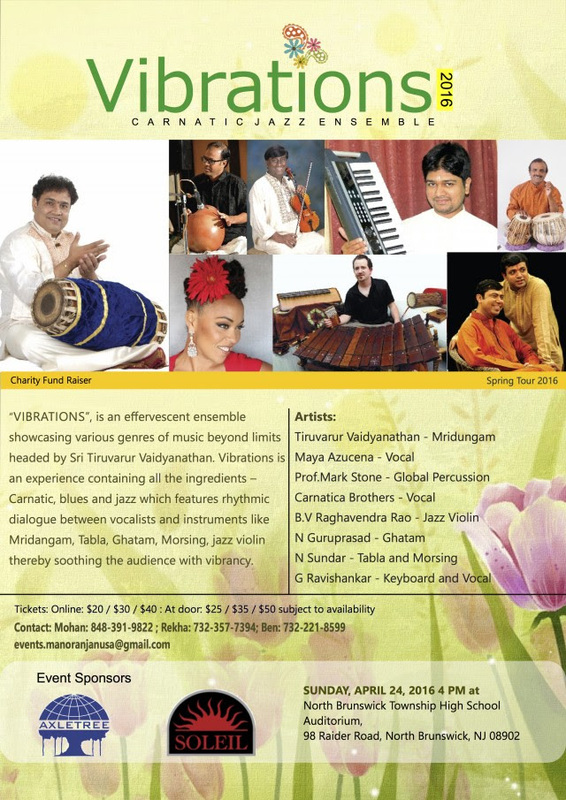 This will be my first performance in the New York area in over a year, so I encourage my New York friends to come out and hear Vibrations Carnatic Jazz Ensemble! I will be taking the month of May off as Lesley-Anne and I eagerly anticipate the birth of our newest family member. :-) Please keep us in your thoughts and prayers as we get closer to the big day!